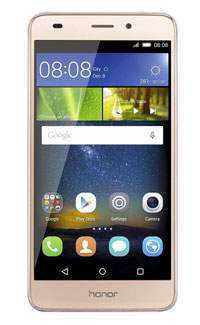 Huawei Honor 5C is the next big thing in the mid-range family of smartphones from Chinese tech giant Huawei. The phone has not release date yet, but at least we know it’s soon. This is true because the Huawei Honor 5C has reportedly passed TENAA certifications in China. What this means it that the phone’s has been approved for production and it is only a matter of time before it is made official or rather, leaks of the design and other features start showing up. Although the Honor 5C has passed TENAA’s certifications, the Chinese smartphone regulator has gone ahead to remove the details of the phone from its official website. Regardless of this, we already have some few details about what the upcoming Huawei Honor 5C will look like. As mentioned earlier, the Honor 5C is a mid-range smartphone. Well, it is kind of hard to tell which of Huawei’s phones is a mid-range device, especially that some of its flagship-featured phones come with pretty much mid-range-like prices. As far as the specs and features of the Huawei Honor 5C is concerned, the leaked TENAA page revealed quite a number of compelling capabilities for this handset. On the side of design, the Honor 5C will reportedly spot measurements of 147.1 by 73.8 by 8.3mm and weigh just 156 grams. In addition to spotting a 5.2-inch 1080p display screen, the Honor 5C has an amazing body build that features an aluminum body. As usual, you will not miss the class and style that has propelled the Chinese OEM to the heights it currently is. On camera matters, you won’t be disappointed by what the Honor 5C has to offer with its 13MP sensor on the rear. We expect to see a 5MP sensor on the front, but this cannot be confirmed yet. Under the hood, the Huawei Honor 5C will come with an octa-core Snapdragon 625 SoC clocked at a speed of about 2.0GHz. Based on the listings, the phone may also feature a MediaTekHelio X10 processor. Regardless of the processor the phone comes with, the expected RAM to power it is 2GB. On storage matters, the Honor 5C will come with 16GB of onboard storage, which can also be expanded using a microSD card. As mentioned earlier, there is no specific release date listed on the TENAA website. However, tradition indicates that the phone will probably be out in a month or two.